Doctor Strange is a feature film based on the Marvel comic about a neurosurgeon who is injured in a car accident that ruins his career. As the Doctor (Benedict Cumberbatch) sets out on a journey of healing, he instead finds himself protecting the world from inter-dimensional threats. Scott Derrickson (Sinister, The Day the Earth Stood Still) directs and also co-writes the screenplay with C. Robert Cargill (Sinister, Sinister 2). Benedict Cumberbatch (Sherlock, The Imitation Game) stars as Doctor Stephen Strange with a supporting cast including Rachel McAdams (Mean Girls, The Notebook), Mads Mikkelsen (Casino Royale, The Hunt), Tilda Swinton (We Need to Talk About Kevin, The Chronicles of Narnia), Benedict Wong (The Martian, Prometheus) and Chiwetel Ejiofor (12 Years a Slave, Children of Men Luke). 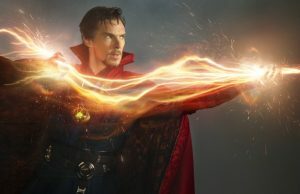 The Doctor Strange production team visited Northfleet where the industrial shoreline land was used to stage the stunt sequence at the beginning of the film where Dr Strange loses control of his car. Northfleet a town North West in the Gravesham Borough of Kent and has excellent transport links being close to the M25 and Ebbsfleet International Train Station. The Gravesend area has previously welcomed filming from The Interceptor (2015), Don’t Tell the Bride (2013) and Canterbury Tales – The Seacaptain’s Tale (2003). 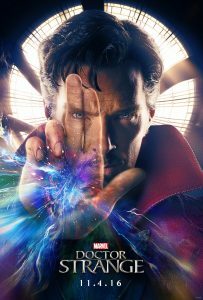 Doctor Strange is released in cinemas on 25th October 2016. This entry was posted in Filmed in Kent and tagged Action Adventure, Benedict Cumberbatch, Benedict Wong, Chiwetel Ejiofor Sci-Fi, Doctor Strange film locations, Fantasy, Feature Films, Mads Mikkelsen, Marvel, Northfleet, Rachel McAdams, Tilda Swinton. Bookmark the permalink.